Jolly Ranchers are a type of hard candy made by the Hershey's company. The fruit flavor that comes from a Jolly Rancher is powerful. According to the Hershey's website, a serving of Jolly Ranchers is three candies and contains 70 calories. Each individual candy contains approximately 23 calories. 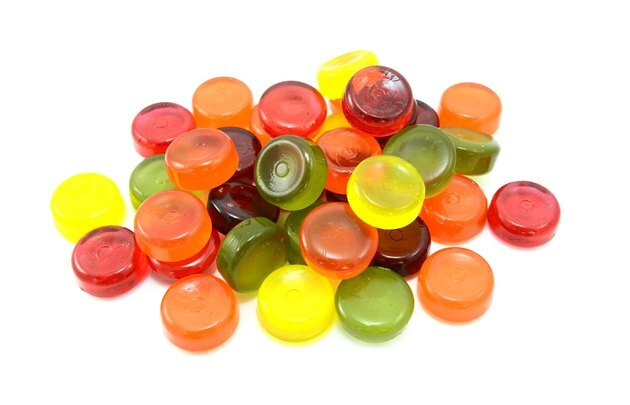 Jolly Ranchers are a fat-free candy, meaning that none of the candy's calorie count contains fat. One serving of three Jolly Ranchers candy uses up a significant portion of the recommended levels of sugar you should be consuming from non-nutritive or "discretionary" calories, according to the American Heart Association. Women should limit their extra sugar calories to 100 per day, men to 150 daily. Jolly Ranchers contain 11 g of sugar per serving, or 44 calories -- according to the AHA each gram of sugar contains 4 calories.